The Present With Pink Bow Charm in .925 sterling silver and it is an incredibly stylish piece.A silver heart has been wrapped in shimmering, cubic zirconia stones and then topped off with an artistically tied bow.This is a fantastic mix and match bracelet bead that you are going to have so much fun accessorizing with. 1. 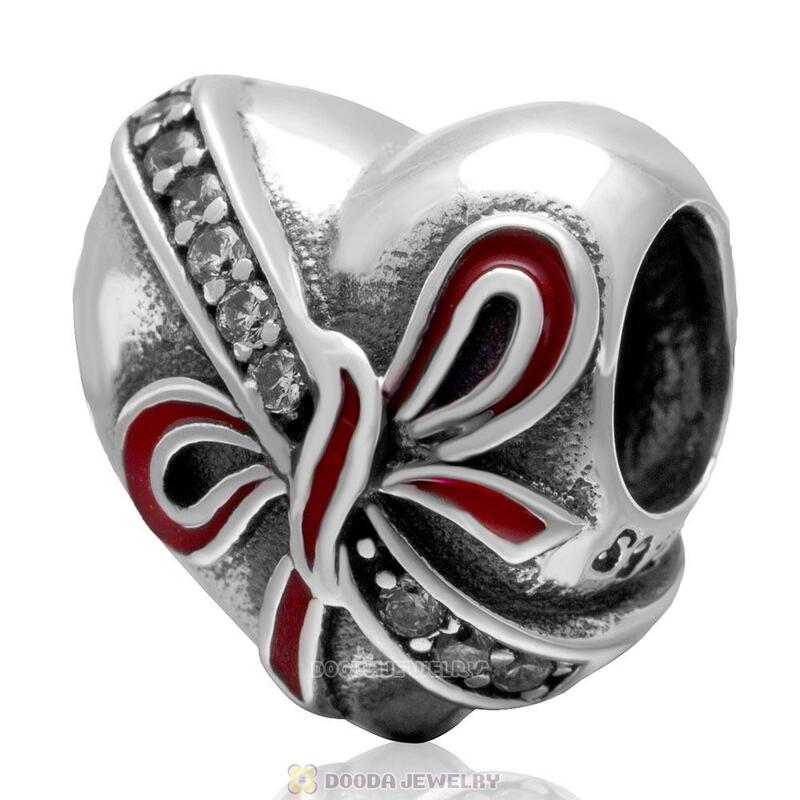 Feature: Each Love Heart Charm bead is made by high skilled worker, Perfect processing, 100% physical picture, fit perfectly on European, bighole Jewelry, Largehole Jewelry, Italian charms, Lovecharmlinks etc chains as well as our very own interchangeable bracelets, necklaces and bangles too.